The modern farmer faces a constant battle for survival. Not only do farmers and their families cope with everything nature throws at them, they have to meet the challenges presented by technology, the environment and the way society raises the bar on farming methods. Despite these obstacles and through innovation, courage and sheer commitment, farmers and their businesses continue to thrive in New Zealand. 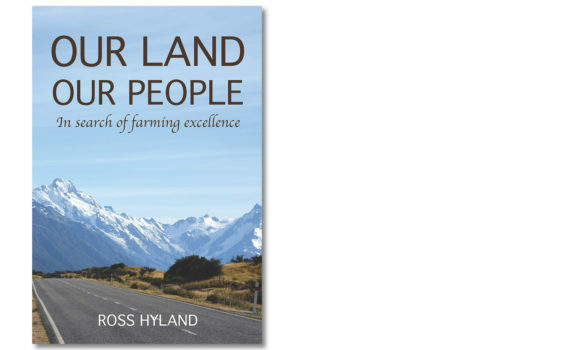 Author and photographer Ross Hyland toured New Zealand in search of the farms and farming families who are setting the standard for excellence. 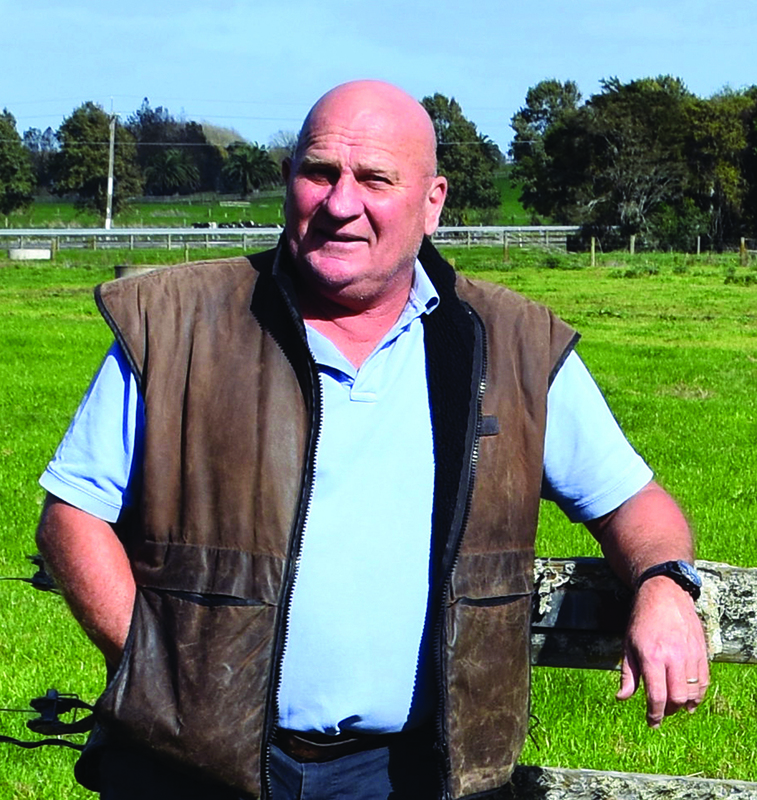 Ross Hyland has been involved in agriculture across New Zealand for well over forty years as a farmer, agri-businessman and feed miller. He has been a director with Lincoln Agritech, sat on the University’s Research and Commercialisation committee and Chaired the Lincoln University farms committee tasked with re-invigorating the University’s engagement with the farming community. He chairs the University of Auckland’s AgriTech and FoodTech commercialisation team. Ross was also the principal author of the red meat industry’s ‘Pathways to Long-term Sustainability’ report in 2015. Trade inquiries for distribution: David Bateman Ltd, Auckland, New Zealand. One of our digital magazines has won a national award for being football’s Publication of the Year. Hurricane Press publishes the quarterly digital magazine FANZ: The Football Magazine for Friends of Football as the group’s official publication. A special issue of the magazine was chosen for the award by the NZ Football Media Association at a national awards dinner in Auckland. Presenting the award to Hurricane Press managing director Josh Easby, NZFMA chair Simon Kay said the publication was a credit given the speed with which it was needed to be produced to celebrate the achievements of Auckland City FC at the FIFA Club World Cup in Morocco. The special issue was produced in less than a week and has been read by football fans all over the world. For more about the publication – and to read a copy of it online for free – click here. Hurricane Press publishes a digital football magazine read by lovers of the game all around the world. FANZ: The Football Magazine is published for the Friends of Football group as its official publication. The quarterly magazine won the NZ Football Media Association’s Publication of the Year in 2015, and was judged runner-up in the same category in 2016. The 2015 award was for a special issue produced in a matter of days to mark the achievements of Auckland City FC in finishing third at the 2014 FIFA Club World Cup in Morocco. 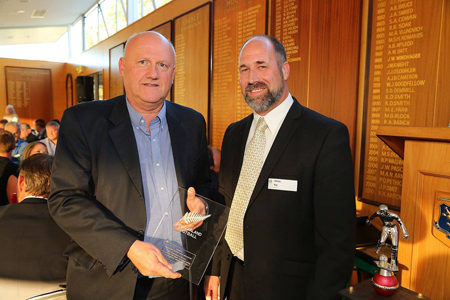 Hurricane Press’ Josh Easby (left) receives the Publication of the Year award from Simon Kay. FANZ is usually between 44 and 52 pages but the ease of digital publishing means extra pages can be added easily and no extra cost of production. An example of the award-winning publication can be read below. To learn how we can help edit, design and publish your printed and digital publications, contact Hurricane Press. 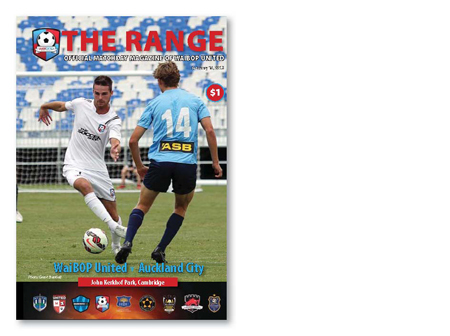 Hurricane Press has provided editing and design services to help WaiBOP United publish its matchday magazine, The Range. 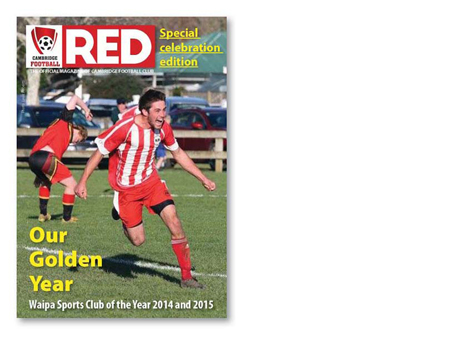 The magazine won the NZ Football Media Association’s Programme of the Year award in 2014. The magazine is a 24-page full colour A5 printed publication that is also available in a digital format. An example of the publication can be read below. Hurricane Press edits and publishes the official magazine of Cambridge Football Club. RED is a 16-page full-colour A5 printed publication but also has a 28-page digital edition for readers to download. The magazine is a good example of what’s possible in the modern publishing environment with software and platforms enabling organisations and individuals to produce high quality publications. The publication has won plaudits within football, winning the NZ Football Media Association’s Match Programme of the Year award in 2011 and being a finalist for the same award in 2012 and 2013. In December 2015, Hurricane Press published a special 72-page edition of RED as a hardback book and also as a digital magazine which you can read online below. For more information about how we can edit, manage and publish for you, contact Hurricane Press. As a service to our customers, we monitor latest trends in the publishing industry and share stories and information through our Facebook group, and with updates at our quarterly workshops. Check here for links to latest news stories about books and publishing. Copyright 2018 Hurricane Press Ltd. Website developed by Hurricane Press Ltd.